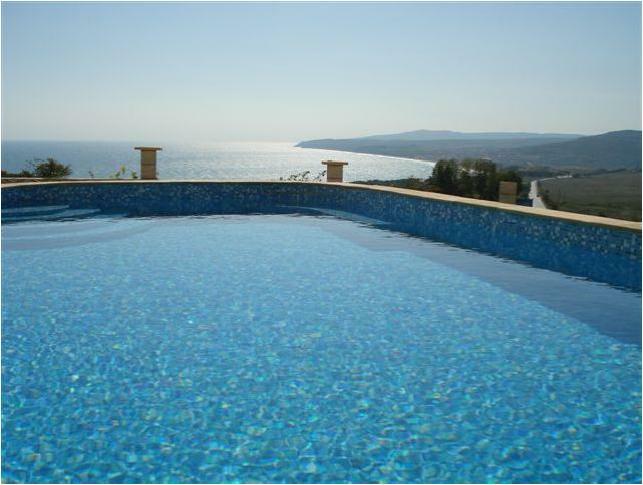 This rental villa really has been furnished to a high standard; it has a new private pool, allowing you to enjoy your rental accommodation in style. This villa has three comfortable bedrooms, along with patio doors leading to the balcony with splendid views, there are two bathrooms, dining area, kitchen featuring a wide range of amenities including a cooker, a fridge/freezer and washing machine. The property is also fully air conditioned through out. 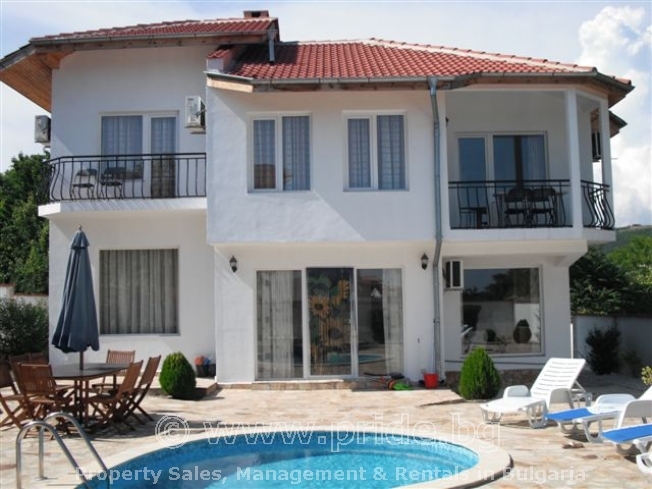 The villa is set in its private garden with traditional Bulgarian outdoor seating and pool area. The local area offers a great selection of cafes, restaurants and discotheques. There is also a small water park on the esplanade which is great for kids. Sea fishing is also possible in the harbour. The exclusive Albena beach resort is just 15 minutes away from the rental villa, followed by Golden Sands and Varna. If you rent a car you will be able to access some of the quietest and most unspoilt beaches (that most holiday makers never see) in Bulgaria, which are just a few kilometers north of Balchik town and with the proposed golf course planned for 2007, you’ll agree there is something for everyone with this beautiful rental property. 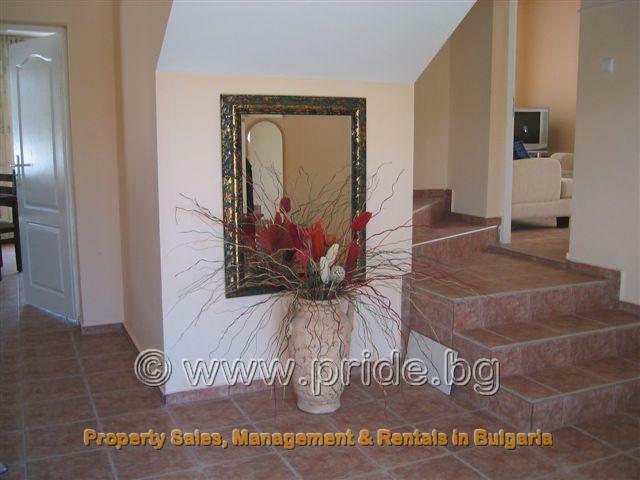 This rental accommodation is ideal for those holidaymakers who prefer the solitude and relaxation of country life, but also in contrast a short distance from the beautiful beaches of Balchik and exclusive beach resort of Albena. This rental property also offers on site secured parking for those who wish to rent a car, full villa alarm systems and a travel cot for those of you with young children.